Soft, welcoming, and utterly enveloping, nothing says “home sweet home” quite like carpeting. But with so many choices, where do you even begin? Our onsite carpet experts have got you covered and can assist you in the complex process of choosing carpeting that not only looks and feels great, but also performs. With it comes to function, it’s truly all about the fiber. Your carpet fibers, which are also called pile, will determine how your rug will wear as time marches forward. Pile is made using different types of materials, both natural and synthetic. We can ask you the important questions as you pick your perfect pile. Do you require strong stain resistance? 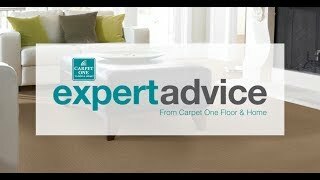 Is your carpet constantly being treaded upon? Will piles of puppies be rolling about? Or is comfort and color your major concerns? With very small handful of exceptions, carpeting poses options for many types of interiors. Stairways, hallways, kids’ playrooms, and nurseries are a natural habitat for stain-proof carpeting. Plush, velvety carpet varieties, like nylon, are beautiful in your master boudoir as they embrace your bare feet. For bathrooms or laundry rooms, you’d do best to consider an alternative to carpeting, since such spaces are prone to excessive humidity. Cloud Carpet One Floor & Home is your one-stop source for all things carpeting. As avid members of Carpet One Floor & Home: the nation’s largest cooperative of independent flooring stores, we offer many exciting customer perks. As part of a 1,000 store strong small-business network, we have amazing buying power prices, not to mention, many of your favorite carpeting brands. Of course, you’ll discover some new favorites as well, with many Carpet One Floor & Home exclusive brands showcased at our two Las Vegas retails stores. Keeping up with the latest carpet trends can be exhausting, so we’ve done it for you. Here are some of our interior experts’ latest designs, incorporating some of our favorite carpeting products. Enjoy your carpeting for a lot longer, with these simple recommendations. A professional cleaning is recommended regularly.